Flowers orange to yellow. Erect spiny shrub. 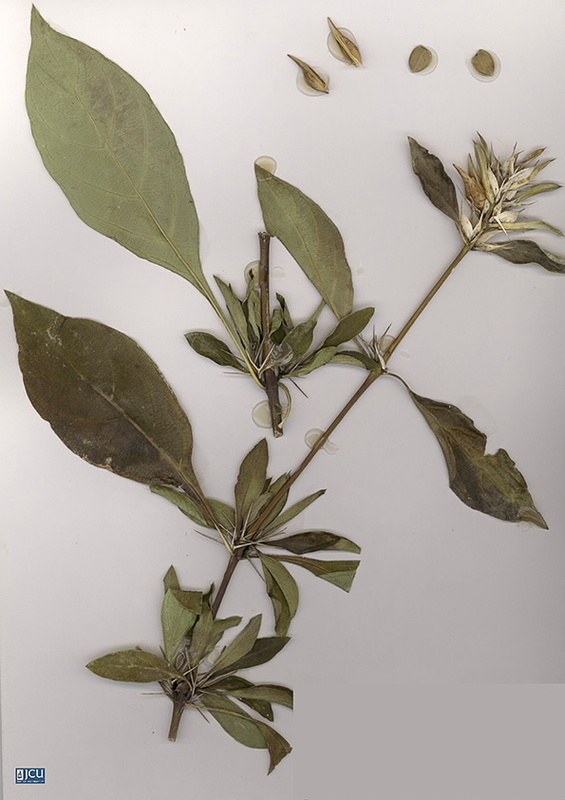 Stems squarish; leaves opposite. Flowers tubular, irregular in shape; corolla pale orange to yellow.